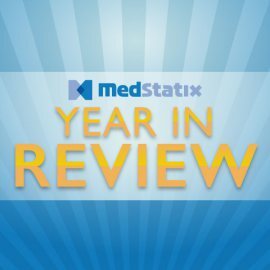 MedStatix would like to thank our clients and reselling partners for providing the best care by allowing patient surveys to impact the care they receive. It is always good to take a few minutes to reflect on the past year as we enter into the next. First, we at MedStatix would like to thank our great nationwide clients and reselling partners for the commitment to providing a higher quality of care by allowing their patients a voice in the care they receive. We have seen remarkable changes in our practices and are thrilled to provide these insights to the practices. This past year we rolled out a second version of our patient surveys for all specialties. We utilized mobile optimization techniques to ensure that the survey was responsive on all the possible devices and browsers and we were able to reduce the total time to take our survey by over 35%. We were extremely pleased to see how this impacted our completion percentages. We are now averaging 35-45% completion rates – far out performing other industry benchmarks! Understanding how precious our end users’ time is, we also rolled out automated monthly reporting to bring the data directly into the inbox of both the administrators and providers. This has helped increase the engagement of the providers and their thirst to understand how they can improve. We also introduced an outlier report to not only highlight the top performers in the practice to hopefully glean best practices from, but also alert in the event that a provider or locations scores are in the bottom as these are the areas of biggest risk to the practice. From a partnership prospective we welcomed four new reselling partners: AzaleaHealth, Professional Office Services, SE Quality Healthcare Consulting, and Talksoft. We are committed in 2015 to expanding and growing our relationships with these partners and helping the platform get into the hands of more practices to further strengthen our benchmarks. We are excited for some of the new items that are on our roadmap for early 2015 that will continue to provide our clients the ability to manage the relationship with their patients for the best care possible. I also want to recognize the outstanding team at MedStatix without whom none of the above would have been possible – Thank you!